Here is my La Muerte Costume Tutorial! 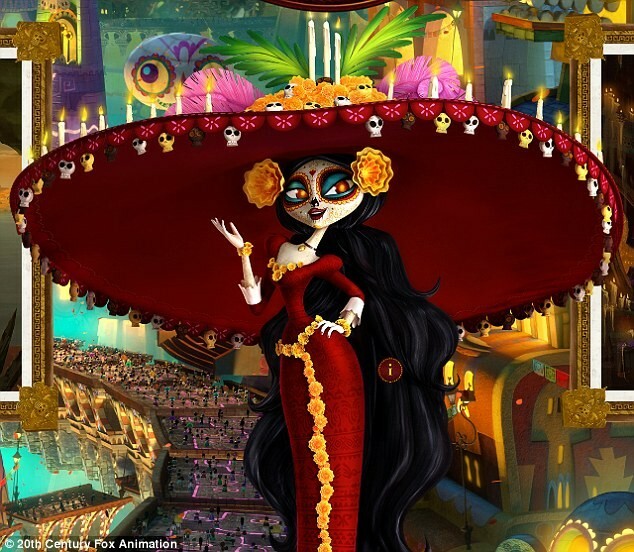 In the movie, The Book of Life, one of central characters is La Muerte, Queen of Souls…she is beautiful and strong and only wants the best for the ones she loves. And she is gorgeous. As soon as I saw her in the poster art a few months ago, I KNEW she would be a prime candidate for a makeup and hat tutorial! and here we are! This tutorial was made by my husband, Patrick! 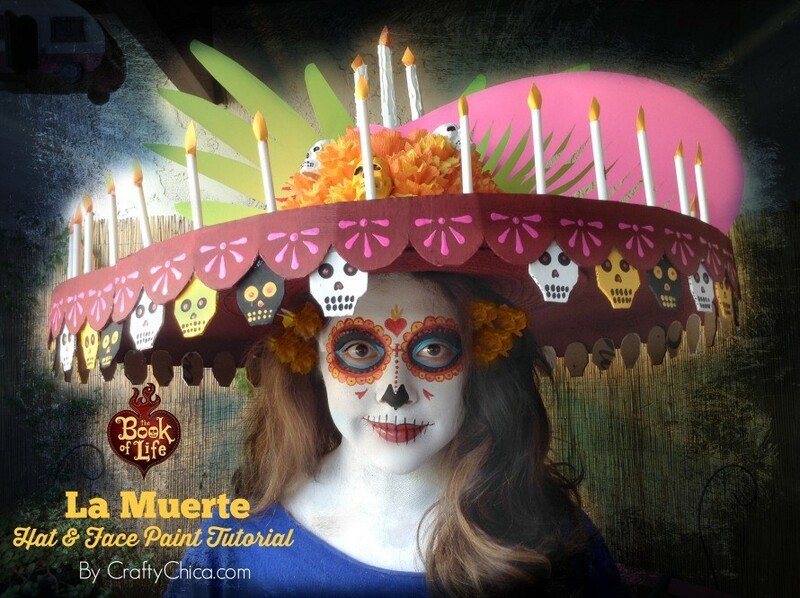 Click here to see all my Dia de Los Muertos tutorials! La Muerte, from The Book of life. Image used with permission from 20th Century Fox. Related: See my baby Chuy tutorial! Above: Here is how you build the base of the hat. 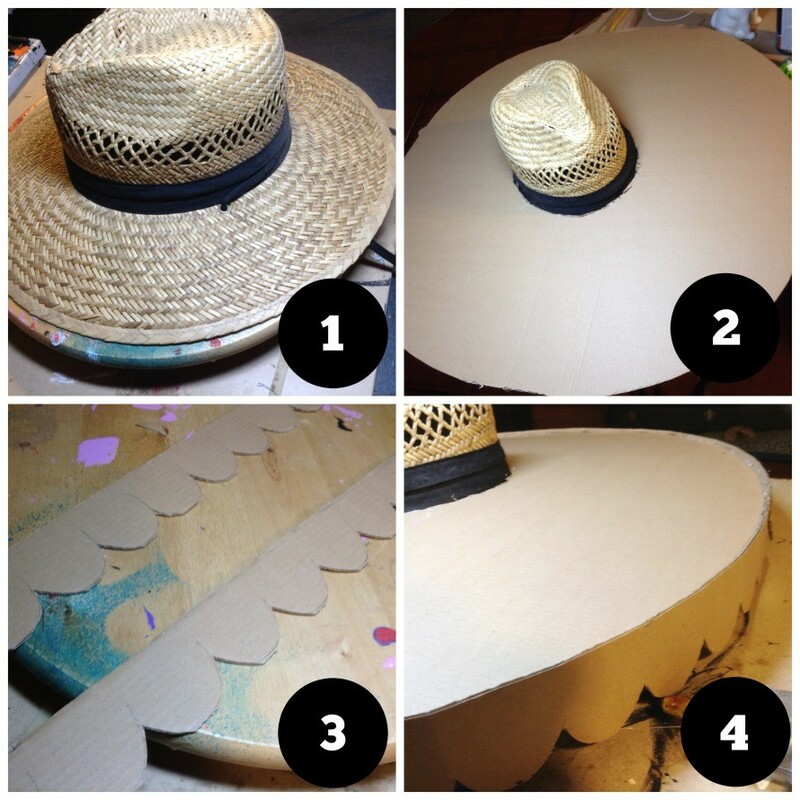 Cut a round piece of cardboard, and cut a hole in the center, use Aleene’s Tacky Glue to glue it to the straw hat. Then cut scallops from cardboard strips. You could also use colored cardstock to make it easier. 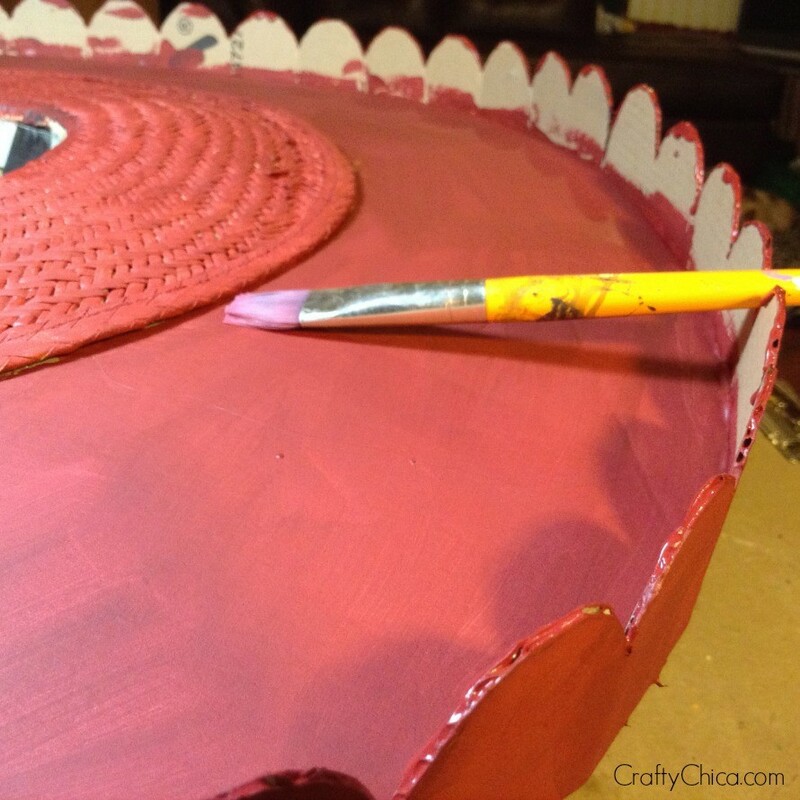 Glue the scallop trim around the rim. Above: Candles! 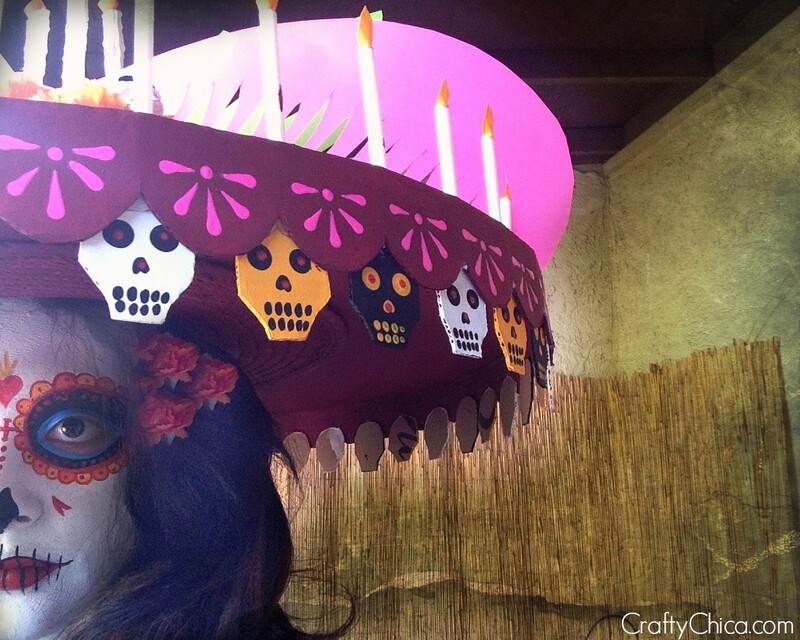 La Muerte’s hat has beautiful candles all the way around the brim. To make these, simply glue straws around and then create white sleeves from printer paper. 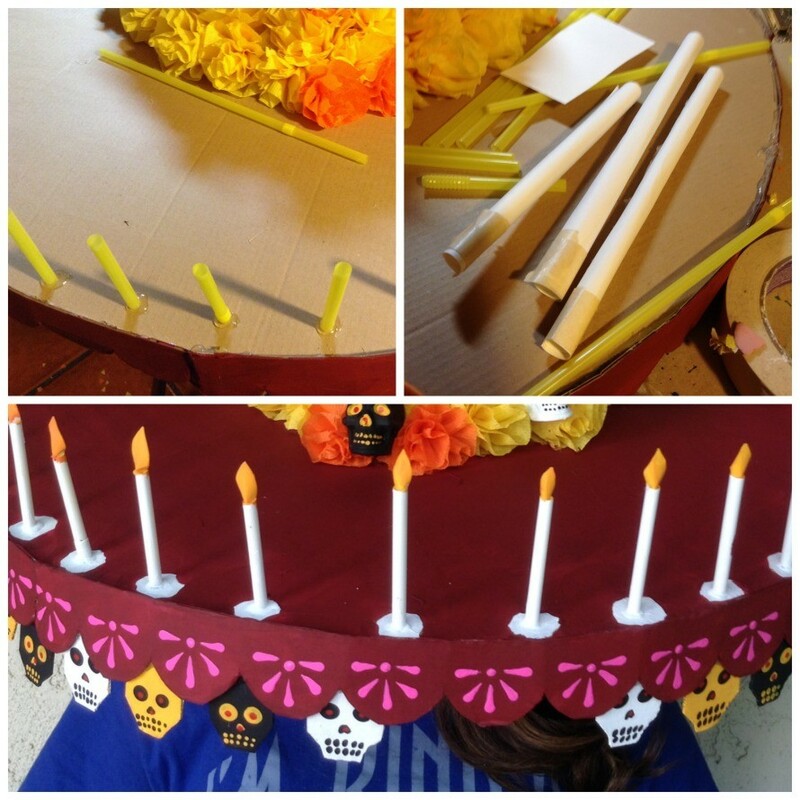 Slide over each straw, then cut yellow paper to make the flame, glue inside the straw. 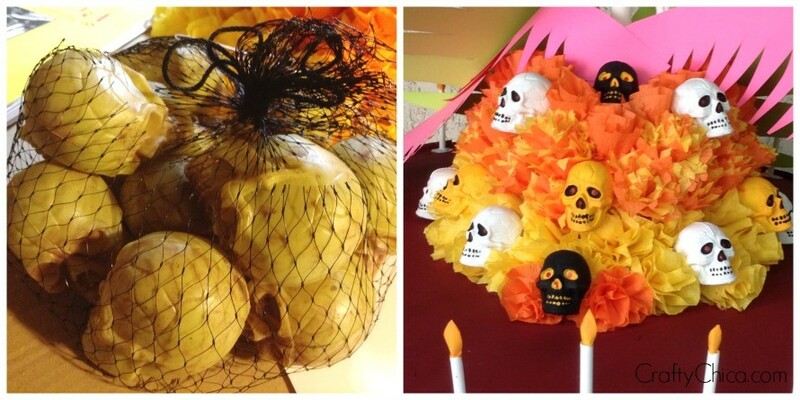 You need to make a larger set of three for the top of La Muerte’s hat. Paint the brim pink and red. Paint the center yellow. Patrick made flowers from party streamers, but you can use a short cut and use silk flowers from the dollar store. Next, cut skulls from cardstock or cardboard and glue beneath of the scallop trim. Then use scrapbook ppaer to cut feathers and leaves to glue on top. Also found at the dollar store – mini-skulls. 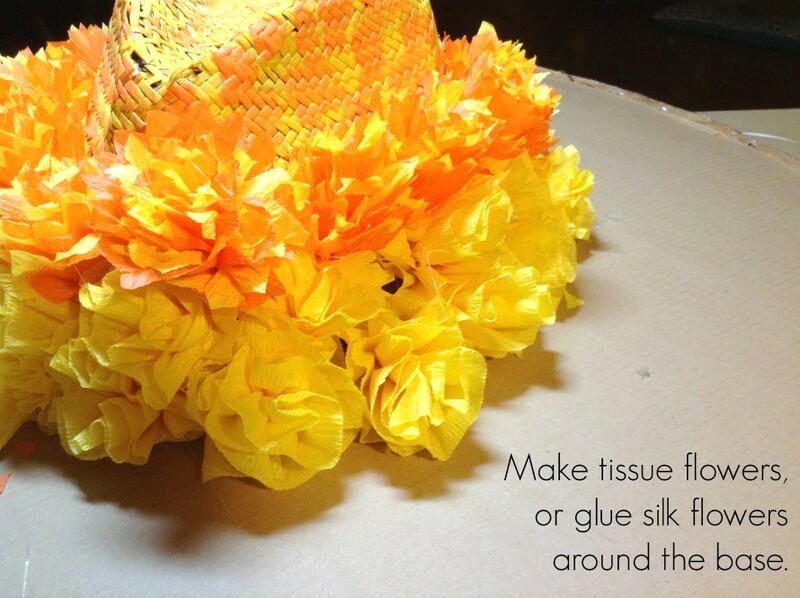 Paint these and glue within the flowers at the center of the hat. To paint the face, pick up some Tulip Body Art. Wash and moisturize the face. Apply white as the base. Paint the eyelids blue, black around that, then scalloped designs. Paint a heart in the center of the forehead, black for the nose and red lips with black lines. To get really detailed, add gold swirls around the face. Don’t forget the marigolds behind her ears! 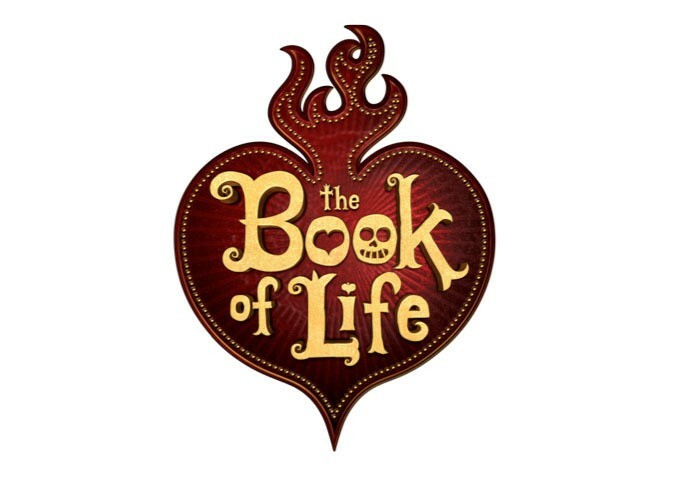 THE BOOK OF LIFE, a vibrant fantasy-adventure, tells the legend of Manolo, a conflicted hero anddreamer who sets off on an epic quest through magical, mythical and wondrous worlds in order to rescue his one true love and defend his village. Starring: Channing Tatum, Zoe Saldana, Diego Luna, Ron Perlman, Ice Cube, Danny Trejo, and more. 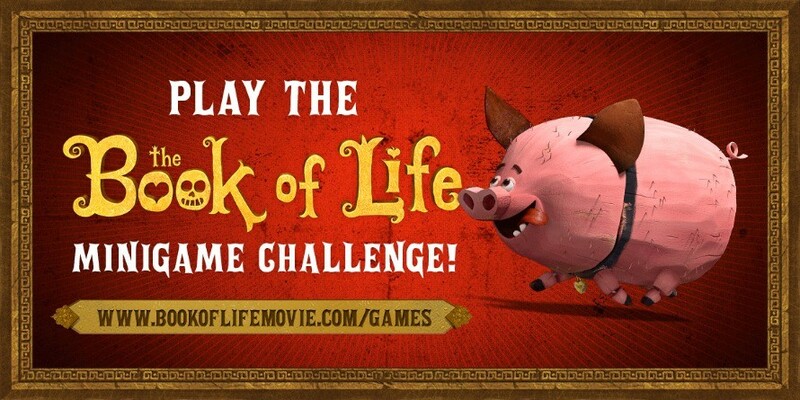 Play The Book of Life Minigames: Dive into The Book Of Life with the minigame challenge! 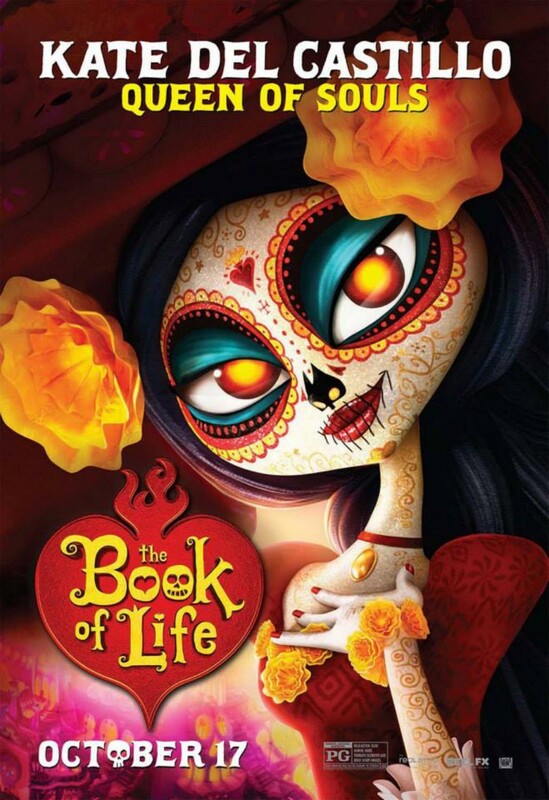 Follow @BookofLifeMovie and tell us your high score! Get started now. 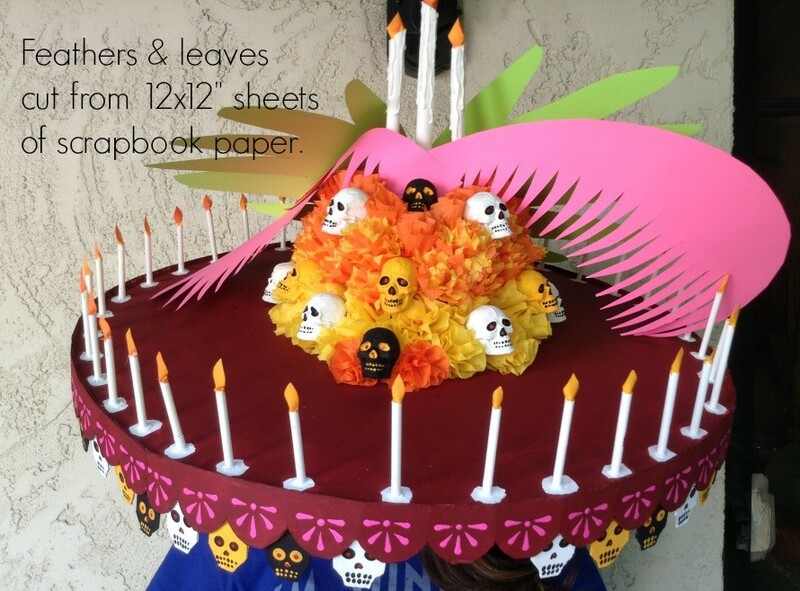 Free Book of Life Activity Sheets: Want to learn how to make your own Sugar Skulls, Paper flags and more? 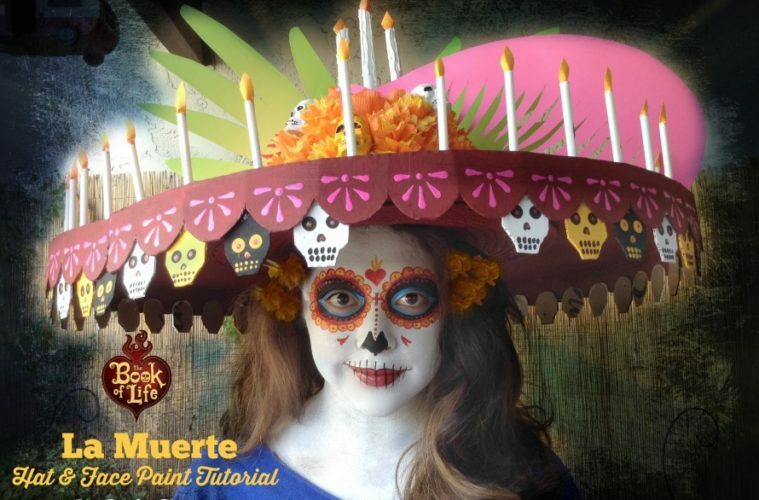 Download free Book of Life Activity Sheets! Way too cool! What a great costume this would make. I loved the movie so much and when I found this on how to make the hat it was a no brainer for me. I would love to send you a photo of how it came out. I just won first place in a Muertos costume contest! YAY! Thank you for making this ease for me.